Who’s tired of being stuck indoors? Don’t want to pile on the snow suits? 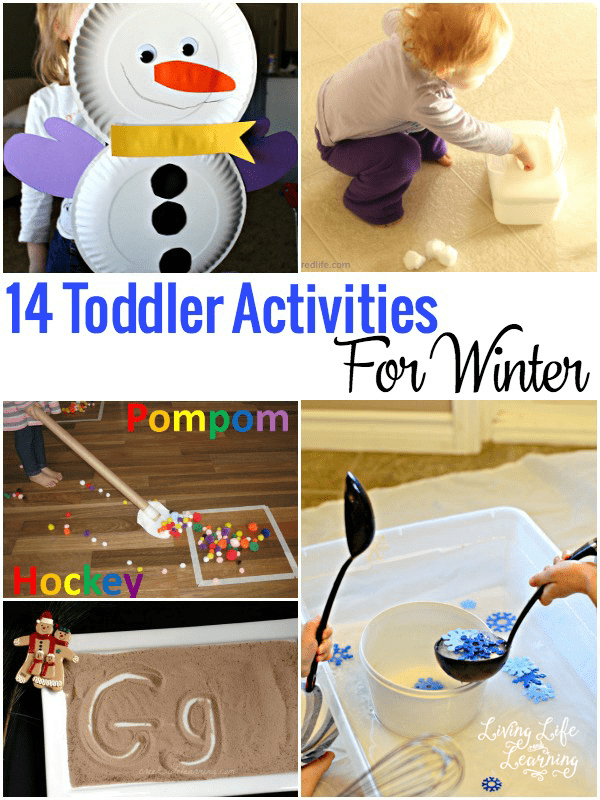 Well, you can still have fun and stay warm indoors with these fun toddler activities for winter. While we love playing in the snow, there’s only so much snow you can take. It’s nice to get indoors and have fun while we stay warm. If you have some rice and Christmas decorations, you can easily set up your own Snowman sensory bin. Your little tot will love this “snowflake soup” sensory play that will encourage fine motor skills. All you really need to have to make this activity is water, a container, kitchen utensils, foam snowflakes, and metallic liquid water colors. Make it a scented “soup” by adding some peppermint extract. This is a super easy craft to do with your toddler. All you need is some construction paper, 2 paper plates, and googly eyes to make this cute little snowman! Who says that toddlers are too young to write? With this salt tray, you can help teach your toddler some writing skills without using a pencil. When they aren’t practicing their penmanship, they can even use this tray for sensory play by making it into sand for their toy trucks or animals. This fun indoor activity takes very little prep time, but your little one will have fun for hours with this “pompom hockey” game. This is not only a great game for one child to play alone, but also for groups to play together, too. Learning new songs is a great activity for little ones – especially when these cute little tunes are about making snowballs, wearing mittens, or five little snowmen! This sensory bin is so easy to do because you probably have all of these things in your house already – dry brown beans, cotton balls, a ladle, and cups or mugs. 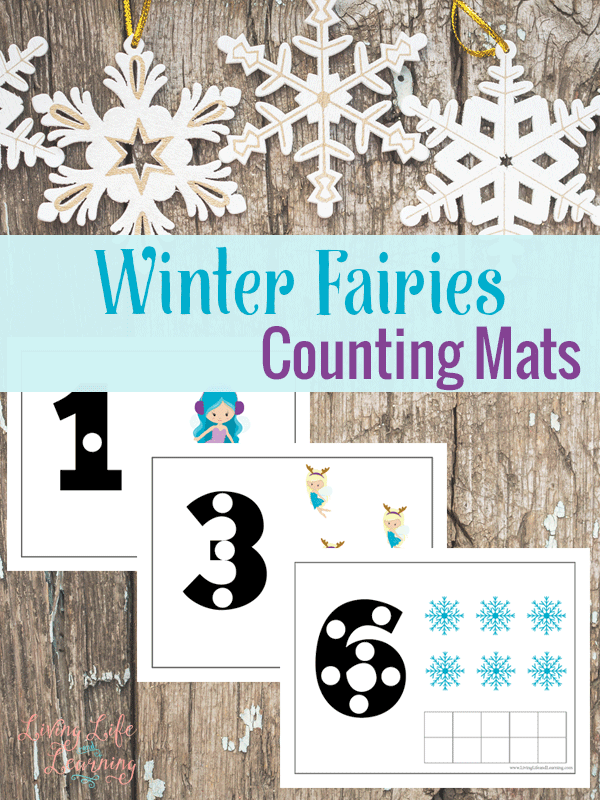 This is a fun activity for the kids and it’s easy to have them clean up, too. Develop your little Picasso’s talents by helping them paint snowflakes in the easiest way possible. All you need is painter’s tape (or washi tape), painting paper, and paint to make these darling snowflake creations. Uncommonly warm winter days won’t be a problem once you have this quick and easy recipe for play snow. Two ingredients – baking soda and hair conditioner – make this play snow a breeze to clean up when you’re finished. You can guarantee your tiny tots will have a blast with this snow that won’t melt when they play with it inside. A window, contact paper, cotton balls, and cotton swabs will give you an awesome activity for those days when you have to stay inside because the weather is bad. The kiddos can make whatever snow creations they want to, stick them to the window, and they will be on display as a cute winter decoration for your living room. Chilly weather doesn’t have to stop your little ones from staying active and having fun. All you need to play this game is some masking tape and some squares of bubble wrap. This game will keep them entertained for a while because what kid doesn’t love to pop bubble wrap? This is one of those activities where you have to save empty toilet paper rolls – but who cares? This activity is so cute, who wouldn’t want to make it. Not only is this a great game for toddlers, but it’s one the whole family can do! These are very creative and interesting toys for toddlers because they are so different. You can put small objects like snowflakes, beads, tiny toys, etc. to this bottle to make it a fun experience for those curious little kids. Mittens aren’t just for keeping your hands warm anymore. These games revolve around mittens. There’s a mitten matching game, a memory game, and even a “find the snowball” game. 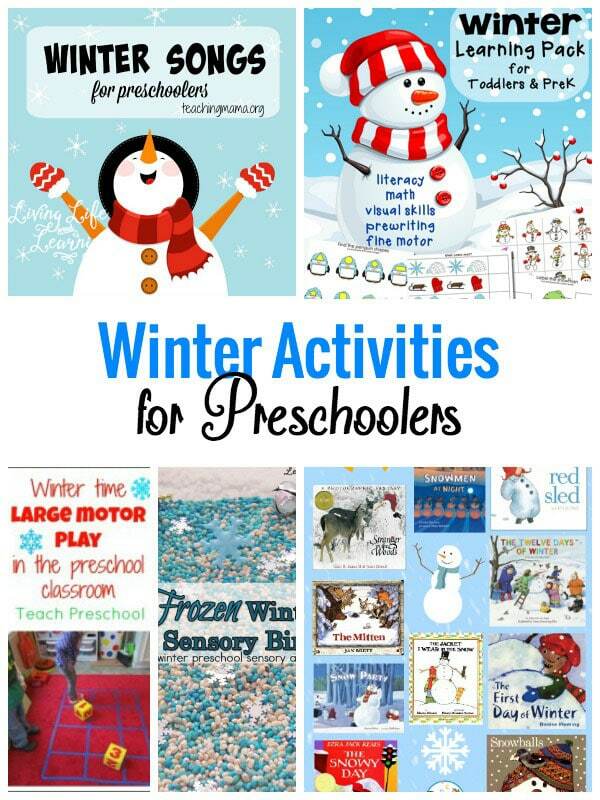 So many great ways to keep the littles busy!